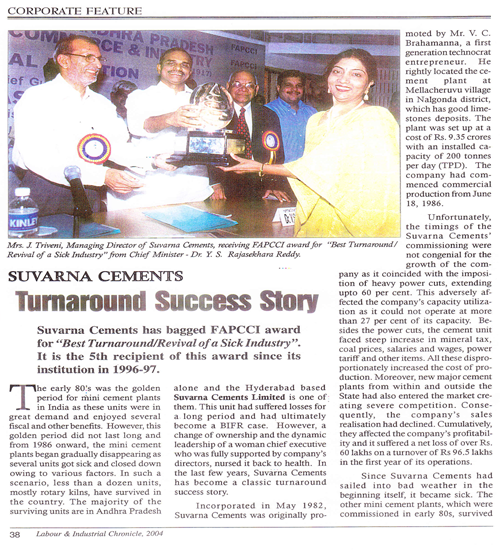 Keerthi Industries (KEERTHI), originally incorporated as Suvarna cements Ltd,. on May 17, 1982, and has been engaged in the manufacture of cement since 1986. 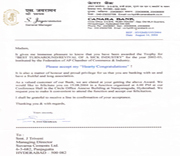 Company has been registered in BIFR since, 1989. 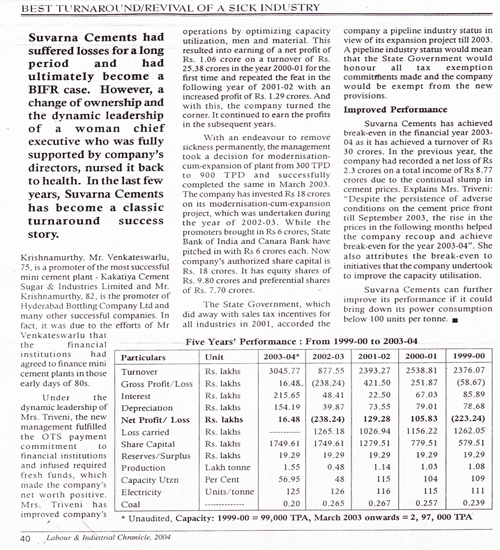 The present Management has taken over in 1999-2000 and turned around the company and made net worth positive. The company was de-registered from BIFR in 2002. In tune with the management’s vision of diversifying into other area, the name of the company was changed to Keerthi Industries ltd in 2005. Accordingly the company diversified from Cement to Power, Electronics, and Sugar, and distillery. 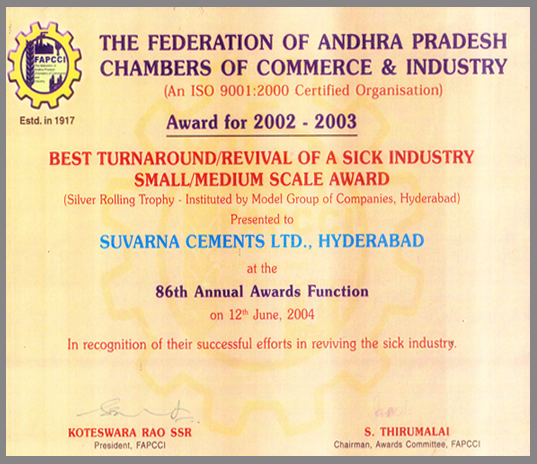 The registered office of the company is located at Cement Plant Mellacheruvu(Vill&Mandal) Nalgonda Dt. A.P. and Head Office located at Plot No ;40, IDA,Balanagar, Hyderabad-500037. In 2006-2007, the company has invested in wind power of the capacity of 1,500 KVA project in Hassan district of Karnataka state. This is being successfully operated and maintained for the company by Suzlon energy. The company has also plan of set-up a 26 MW cozen Power plant in Yadagir dt, of Karnataka in the proposed Integrated sugar project. 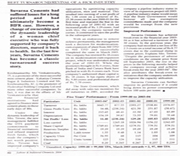 Hyderabad Flextech Ltd, is one of the group companies which was incorporated in 1992 Dec as 100% Export Oriented Unit under Electronic Hardware Technology Park Scheme, Ministry of Electronics, Government of India, is located at Industrial Development Area, Balanagar, Hyderabad - 500 037, INDIA. They are in manufacture of Flexible PCB & Regid PCB. Hyderabad Flextech FPCs are globally accepted by giants in Electronic Hardware industry as we are equipped with state of art technology to meet customized requirement of client. 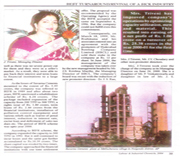 Strategically the company has been merged with Keerthi Industries ltd in the year 2010. 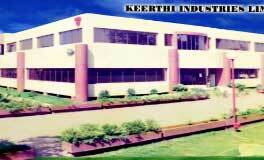 This is Electronics division of Keerthi Industries ltd. 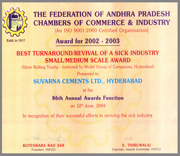 The plant is located at Plot No; 40, Balanagar, IDA, Hyderabad-500037. An integrated sugar project of 3,500 TCD sugar plant, with 26 MW cozen power plant,50KLPD Distillery, is being set-up in Yadagir Dt. Karnataka, for which Promoters have purchased 150 acres of land for the purpose, and Government of Karnataka has given in-principle approval and various clearances from different authorities have been obtained and project work is in progress. 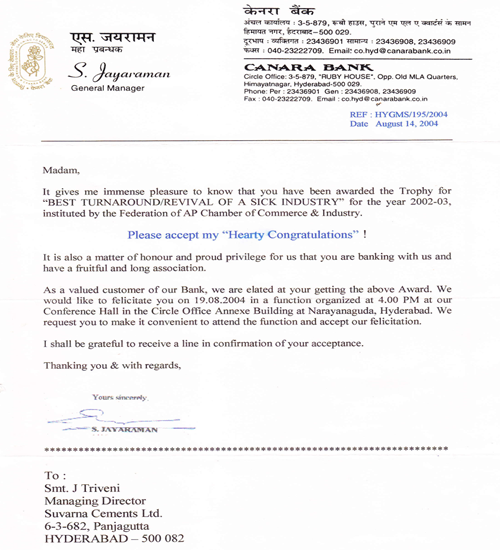 Award by Chief minister of A.P.